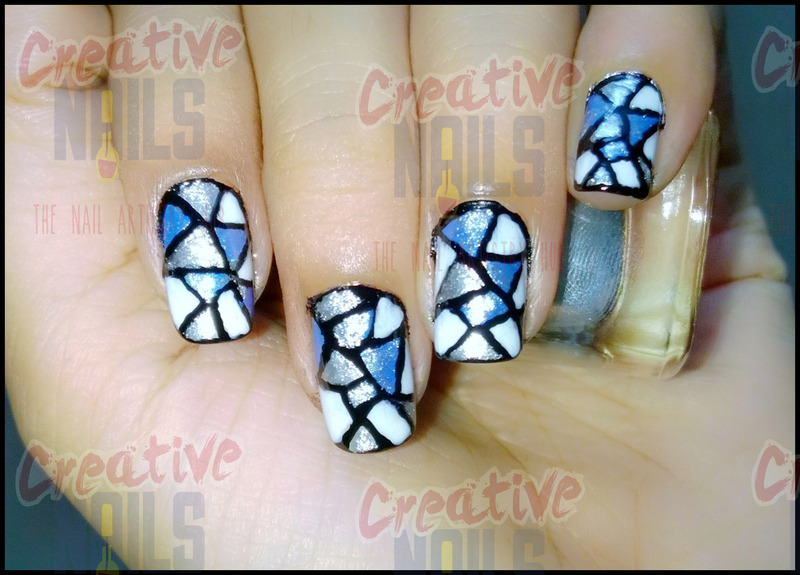 Creative Nails is back with a special design – Stained glass nail art! This is inspired by @glamournailart. This form of nail art looks really nice and sweet. A stained glass nail art can go with any color of clothes because of the huge choices of colors that you can incorporate into these types of nail art designs. ← Book Lover Nail Design! Stained glass is in my to do list for long. Love your take on it. lovely pattern! will try it for my toes! Oh Thanx! ya u should try ul like it. Cool blue, nice color combo!